We really like the base BMW 328i, and there's no need to steer away from it because there's only a four-cylinder under the hood. The 2013 BMW 3-Series is safe, fuel-efficient, and well-connected, yet it delivers the class-leading performance and handling that enthusiasts have come to expect. The BMW 3-Series cars have grown as complex as the hardware wrapped in their sheetmetal bodies. BMW juggles a coupe, a convertible, and a sedan under the nameplate—though the sedan this year is a new model, while the two-doors ride under a last-generation architecture. There's some resolution next year when the 3-Series entails only sedans, wagons, and hatchbacks—and the new BMW 4-Series reigns over coupes and convertibles. The 3-Series grew last year and added a host of tech features cribbed from the 5- and 7-Series. The smaller 3-Series keeps its list of powertrains, great agility and balance, and driver-centric feel that made it popular in the first place. The sedans have an all turbo lineup now, with a turbo-4 or turbo-6 underhood. Most models can be equipped with a 6-speed manual transmission and deliver plenty of power down low in the range to ensure that there's no bad pick in the bunch. The M3 continues to generate lusty thoughts from true driving enthusiasts with its special performance package, M Sport suspension, and upgraded brakes, plus a 414-hp, 4.0-liter V-8 engine and seven-speed double-clutch (or six-speed manual) transmission. Both the M3, as well as all the 2013 3-Series Coupe and Convertible models, are carried over in the previous-generation layout for the Coupe and Convertible (they won't follow the sedan until next year), so in those forms the 328i includes a 230-horsepower, 3.0-liter naturally aspirated six. Most models of the 3-Series include driver-selectable modes for how the sedan, hatchback, or wagon behaves. Toggling between Eco Pro, Comfort, Sport, and Sport+ can alter the car's behavior, including throttle response, transmission shifts, and stability control. The 3-Series moved to an electric power assist rack for the current generation, that respectably replaces the great hydraulic setup from yesteryear in most circumstances. In any case, the 3er's electric power steering system doesn't disappoint—it loads and unloads nicely—while the eight-speed automatic transmission is quick to respond and covers a wide range for good highway fuel economy (up to 34 mpg on the highway with the 328i). 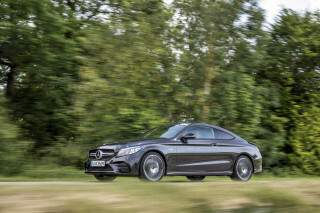 Coupe and Convertible models make do just fine with a six-speed automatic. And as a breath of fresh air—and one you really expect from BMW—nearly all the models can be had with a manual gearbox. And xDrive all-wheel-drive versions have been added to the lineup this year. The newer sedans are instantly recognizable as more contemporary with their larger greenhouse, more actively sculpted flanks, and wider front-end look. They're nearly four inches longer than the previous models, with two inches of extra wheelbase; about an inch of that goes to increased rear legroom, and that extra bit goes a long way. With better seat contouring and that added inch or two, it's now possible to fit adults in back, although taller occupants will still be splaying their knees and you won't want to subject adults to vast distances in the back seat. Front-seat riders have the best seats in the 3-Series thanks to comfortable seats that hold nearly every body type, thanks to a wide range of adjustability. Across the lineup, you get the latest version of iDrive, which requires you to use a multi-way controller down on the center console to navigate menus for non-essential functions. It's much easier to intuit than earlier versions of the system, and we don't seeing it as a deal-breaker, yet you'll want to spend some time getting a tutorial at the dealership. BMW Apps integration lets you use your data connection to tap into some well integrated streaming music services—but it requires a $250 smartphone holder, and it's only compatible with versions of the iPhone. The 3-Series has a long options sheet that can add luxury or high-tech features, for a price. The cold-weather package may be the most practical for northern state shoppers by adding heated front and rear seats, a heated steering wheel, and headlight washers. A head-up display relays useful information to the driver via the windshield. A parking assistance package adds a rearview and surround-view camera system for better maneuverability around the mall parking lot, and advanced safety features such as blind-spot monitors and lane-departure warning can add peace of mind. The available navigation system adds excellent 3-D maps. Busy interiors aside, the BMW 3-Series sedan and wagon have a trim, athletic look. The 2013 BMW 3-Series sedans are instantly recognizable as BMWs, yet they stand out as clearly different visually from the outgoing E90 versions—which are still sold for 2013 in Coupe and Convertible form. Overall, the roofline looks longer, lower, and a little swoopier without looking impractical. A more dynamic, rising beltline also cuts through the sheetmetal alongside the doors and helps visually lower the hoodline. At the same time, the doors are relatively level, and there's more glass space and lower doorlines than you might expect. It's an evolution, yet one that goes in a refreshing direction when you hold it up to all the high-beltline sport-sedan designs of the past decade. Looking at details, we think the new 3-Series wears the current BMW-family front end better than any of the other models in the lineup; the familiar kidney grille is wide here, and headlights curve around the corners, altogether giving it a wider, more aggressive look. In back, the 3-Series is at its most traditional and conservative. Not much about the interior of the 3-Series is nostalgic or a throwback to prior generations either. The new interior is a more cohesive design, something that was lacking from the last model. The instrument panel is laid out in a horizontal way that maximizes interior space and presents the optional, widescreen display on the dash by itself. The display fits in, but feels a little like a bolt-on appendage, rather than part of the overall aesthetic. The high-tech dashboard can be complemented with a range of finishes, including brushed aluminum or wood, depending on your definition of luxury. There are a long list of new options, including a tan dashboard, that wasn't available on the old model. The 3-Series sedans are being offered in three different trim lines—Luxury, Modern, and Sport—and each of them cover the details with different materials and finishes. Sport-trimmed models boast red accents and blacked-out trim pieces; Modern-line cars use a satin-aluminum grille, with dark oyster or black leather seating surfaces and pearl trim or wood inlays; Luxury-line cars have a chrome grille, glossy wood trim and chrome accents on the inside. Confident handling and a choice of strong turbo-six or turbo-four engines give the 3-Series its traditional dynamic excellence. For decades, the BMW 3-Series has pretty much been the performance benchmark for sport sedans. And with the new generation (code-named F30), that was introduced last year, BMW made some major technology and engineering advances that boosted safety and fuel-efficiency all rather miraculously without muddling its behind-the-wheel character. 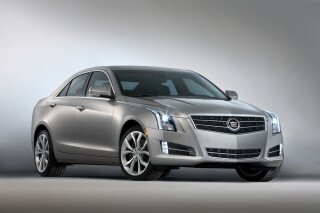 The sedans have adopted an all-turbocharged lineup. Unlike past years, BMW no longer uses the final two numbers in the model to denote engine size. The 328i is fitted with a 2.0-liter turbocharged inline-4 that makes 240 horsepower and 260 pound-feet of torque, while the 335i uses a 3.0-liter turbocharged inline-6 makes 300 hp and 300 lb-ft. Both engines use a twin-scrolling turbocharger that delivers power quickly, and at low enough rpm, that the engines never feel lagged or stretched for power. In short, if you wouldn't have to listen to the somewhat less sweet soundtrack of the 328i models you'd never guess that it's packing just four cylinders. In manual-transmission form, they get to 60 mph in just 5.7 seconds with the manual transmission—only 0.3 faster than the 335i—and they churn out the torque in the low-to-mid rev range, where it matters to feel perky with an automatic transmission. Peak torque happens at just 1,250 rpm. Ante up to the 335i models and you get what, just a few years ago, would have been the domain of V-8 engines—and the high-performance M3. BMW has added a Driving Dynamic Control rocker switch to all 3-Series models that can adjust throttle tip-in, transmission shifts, and steering heft depending on the mode selected. Comfort is the default mode, but the system can also switch into Eco Pro, Sport, and Sport+ modes, with the last stop adding more slip allowed by the stability control and engaging an electronic limited-slip differential to give rear wheels more traction. Fans of the 3-Series will note that the automaker switched its steering system over to an electronic power steering setup after using a hydraulic rack for many years. The electric power assist program builds nicely and doesn't add artificial weight to the steering, and it even provides a little feedback at the 3-Series' limit of grip, which is further than most people would consider taking the car. Our nitpick with the system: we'd like a little more feedback from the road at lower speeds, something the hydraulic system did very well. An optional variable sports steering setup can quicken the ratio at lower speeds, which helps maneuverability in and out of parking spaces for instance, and skips some of the digital indecisiveness by mechanically altering the ratio. An eight-speed automatic transmission is available in any of the 328i or 335i sedan models, while Coupe and Convertible models make do just fine with a six-speed automatic. And as a breath of fresh air—and one you really expect from BMW—nearly all the models can be had with a manual gearbox. The only exception to that is 328i xDrive models, which are automatic-only. Sport-model automatics come with special programming for faster shifts, and in sedans with the eight-speed it's so good out on the racetrack that we might actually choose the automatic over the manual. 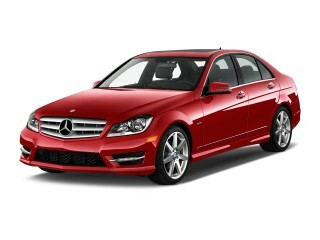 Otherwise, we'd have to go for the precise-feeling six-speed manual for the inspiration it brings daily driving. A bevy of M-branded options are available for performance-minded buyers. An M Sport package lowers the ride height by 0.4 inches for flatter cornering, firms up the suspension, beefs up the anti-roll bars, and swaps in 18- or 19-inch wheels. Adaptive M Sport suspension electronically controls the firmness of the dampers for more performance, but we're enthralled by the base setup without these fancy options. We say skip them, unless track days are in your near future with the 3-Series. The 3-Series is bigger than most of its rivals this time around, and with a wagon on the way, it's a flexible family option, too. The 2013 BMW 3-Series is a compact sedan—and a sport sedan at that—and while seating space in front feels uncompromised, this isn't probably isn't a model to use for primary family duty. The new 3-Series is just a few inches longer than the outgoing model, and measures bumper to bumper at 183 inches long. With last year's redesign, the 3-Series got a couple of extra inches of length and wheelbase, with most of that About two inches of that going to extra legroom in back. But it's worth remembering that the 3-Series is first and foremost a sport sedan, and packaging can take second stage to proportions and weight distribution. With better seat contouring and that added inch or two, it's now possible to fit adults in back, although taller occupants will still be splaying their knees and you won't want to subject adults to vast distances in the back seat. It's no executive limo, but it'll fit kids or a quick lunch with co-workers just fine. The 3-Series redeems itself in front, where there's plenty of space for a wide range of body types. Whether standard or Sport seats, the 3-Series boasts plenty of flexibility for long legs, including extendable thigh support and plentiful side bolstering. Sport seats just up the ante on all of the above. Trunk space is impressive, even though the trunk opening can be a bit small for fitting larger or longer items. As with some other premium models, you can move your foot under the rear bumper to pop the trunk when your hands are full, if you have the keyfob in your pocket. 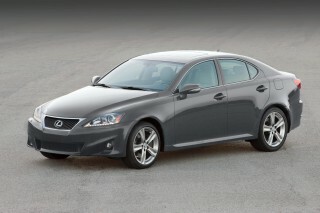 In any of the 2013 3-Series models, ride quality is superb. Base 328i cars ride on tires with a taller sidewall, which means the ride is a little more compliant. Moving up to bigger wheels doesn't necessarily spoil the ride, which is uncommonly good for a car that runs on standard run-flat tires. That can't be said of most of this model's rivals, which can get pretty harsh with their top-performing (or showiest) setups. Likewise, the 3-Series can be a little noisy on rough surfaces, but compared to others in its class, such as the Lexus IS or Infiniti G37, the 3-Series is very quiet. Even four-cylinder models are geared tall for highway cruising. As one footnote, the engine sound from the four-cylinder engine in the 328i involves a fair amount of almost diesel-like direct-injection clatter at low speeds. The turbo six doesn't sound as pure and sweet as BMW's naturally aspirated six (which you can still get in the 328i Coupe and Convertible), but it has a brash yet refined sound of its own. Across the lineup, you get the latest version of iDrive, which requires you to use a multi-way controller down on the center console to navigate menus for non-essential functions. It's much easier to intuit than earlier versions of the system, and we don't seeing it as a deal-breaker, yet you'll want to spend some time getting a tutorial at the dealership. BMW's outfitted the latest 3-Series with lots of advanced safety features, and it earns a five-star safety rating. The BMW 3-Series Sedan was all-new last year, while Coupe and Convertible versions carry over for one more year under the previous E90 design. What that means, to put it bluntly, is that if you opt for a two-door 3-Series, you're not going to get occupant protection that's on par with the latest 3er sedans. 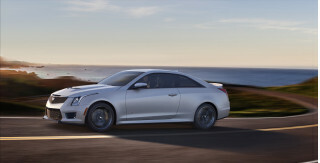 Coupe and Convertible versions carry over “good” scores for frontal impact and side impact plus an “acceptable” score for roof strength from the Insurance Institute for Highway Safety (IIHS), while they weren't at all rated by the federal government's new-car assessment program (NCAP). But the 2013 BMW 3-Series Sedan does much better; it gets a top five-star score from the federal government, including a five-star score for side impact and four stars for frontal impact. And it earns top 'good' scores in frontal, side, and rear impact tests, along with roof strength, and earns the Top Safety Pick designation. There is already one blemish for the sedans, though; the 2013 3-Series earned just 'marginal' in the new IIHS small-overlap frontal test, which simulates a collision with a pole, or the corner of a larger vehicle. The 3-Series sedans have a completely new structure with more aluminum than ever before, along with ultra-high strength tensile steels, to help make it light yet protective. All 3-Series models include a standard complement of airbags, which cover front and side impacts, plus side head airbags for front- and rear-seat passengers. Optional safety tech bolsters the 3-Series' resume. Blind-spot monitors and lane-departure warning systems add to a camera-based forward collision warning system and are offered for the first time in the 3-Series. The cars also include a BMW Assist program that can automatically notify first responders if the car has been in an crash. A rearview camera is available and can be bundled with a parking assistance program that adds cameras around the car to stitch together a surround-view camera look to help with parking in tight spaces, or pulling out of concealed exits such as alleyways. The 3-Series has a vast range of options, but prices can hit breathtaking levels--even without some key features. Depending on how you equip your 3-Series, you can end up with a spirited, sensible sport sedan, a focused track-day machine that really looks the part, or a small luxury sedan with a sporting edge. That much hasn't changed; for decades the 3-Series has been many different things to a wide range of people who do all have one thing in common—they enjoy to drive. The BMW 3-Series can be among the more richer sedans with $15,000 in available options on the offer sheet. BMW has responded by packing value into the base 328i and 335i models, which include an impressive list of standard features. All models are equipped with automatic climate control, a moonroof, fog lamps, AM/FM/XM/CD and HD radio with Bluetooth connectivity, dynamic cruise control, and ambient lighting. Opting for more performance from 335i models add a few more creature comforts too, 18-inch wheels, power adjustable front seats, and adaptive headlights are available on those models. 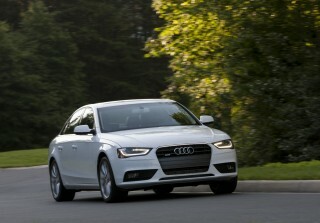 Additionally, 3-Series models can be dressed up in Luxury Line, Modern Line, and Sport Line guise. Each version adds $1,400, up to several thousand, to the sticker price, but in return you get some distinct trim—some of which feels like it could be from a much more expensive vehicle. New for 2013 is an M Sport line that adds special 18-inch BMW M wheels, a sport suspension, an M steering wheel, Aluminum Hexagon interior trim, an aerodynamic package, an anthracite headliner, and other dress-ups. The 3-Series order sheet is long, and impressive. High tech add-ons include a head-up display, or practical features include a cold-weather package that adds front- and rear-seat heaters, a heated steering wheel, and headlight washers. A driver assistance package adds helpful safety tech such as blind-spot monitors and lane departure warnings. A parking assistance package adds a surround-view camera system, and a rearview camera with cross-traffic alert. The navigation system now has real-time traffic information and 3D topographical views that can help you. We appreciated its 3D topographical views when zigzagging through mountainous terrain. The BMW Apps integration—enabling music streaming from Pandora and MOG, using your smartphone's data stream—requires a $250 smartphone holder, and it's only compatible with versions of the iPhone. 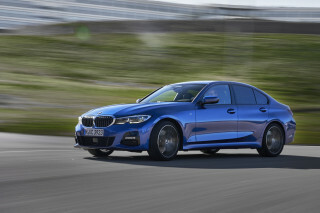 Predictably, the 3-Series can be fitted with a multitude of a la carte add-ons, most of them performance oriented, with myriad combinations of wheels and tires. 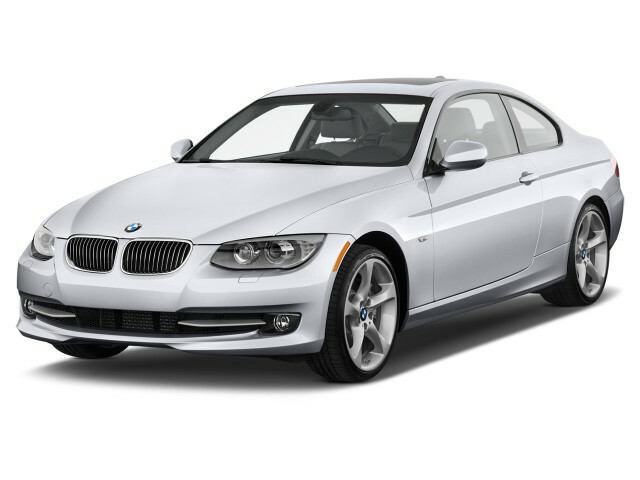 The new-for-2013 ActiveHybrid 3 comes with essentially the same equipment as the 335i sedans, only with a hybrid-specific display, special 18-inch Streamline alloy wheels, and there's no Sport, M Sport, or Active Cruise Control option. Great fuel economy, even in six-cylinder form, makes the 3-Series an unheralded green option for sport-sedan buyers, and a hybrid version is on the way. Last year, BMW introduced a new eight-speed automatic transmission plus a new turbocharged four-cylinder engine in the base 328i Sedan models, which gave BMW 3-Series a big boost in fuel efficiency. Those efficient powertrains continue into 2013, but this year there's also a new ActiveHybrid3 model. Unfortunately, with a turbo six instead of a four-cylinder engine under the hood, the ActiveHybrid3 likely won't much more fuel-efficient than the 328i and 335i models—both earning up to 23 mpg city and 33 or 34 mpg highway. But with a supplemental electric-motor system and 675Wh of lithium-ion cells in the trunk, it boasts an all-electric range of 2.5 miles—a feature that could boast real-world mileage in stop-and-go driving significantly, if you can show some restraint. The system can also shut off the gasoline engine when coasting at high speeds (up to 100 mph). All BMW 3-Series are equipped with a stop-start system that shuts off the engine for long periods, such as at a stoplight. A brake energy regeneration system is standard on all models too; it keeps the alternator from drawing a heavy load from the engine until the brakes are engaged, to keep the engine running as efficiently as possible during normal circumstances. The air conditioning compressor runs more efficiently, and there's an Eco Pro mode that keeps auxiliary controls running as lean as possible to eke out every mpg from every drop of gas. Great looking car, fun to drive, fast. A car person's car. City MPG, not so great. LA traffic about 16mpg. Have the 328xi with luxury package. This package has Dakota leather which is great. It also has seats that are not bolstered enough and seats are low which makes exit difficult. Worse car I have ever owned!